Kinesiology senior and UNT club fencer Jack Bolerjack was awarded the ‘Spirit of Fencing’ award, presented by USA Fencing. Bolerjack was nominated by the club’s vice president, Tiffany Miller. He is the first UNT club member to win the award. Bolerjack has been a member of the UNT fencing club since his freshman year of college and has been adamant about the growth and success of the club since day one. The award is presented to one fencer per region in the USA Fencing Association. The UNT fencing club is in Region 5, which consists of schools from Texas, Oklahoma, Louisiana and Arkansas. To be considered for the award, the nominee must be nominated by another team or club member. When sending in the application, the nomination must list all of the reasonings for their choice of the nominee. When Miller submitted her application, she mentioned many stories of Bolerjack many selfless acts. Bolerjack has been in an officer position as the club’s Armor since the fall of 2015. 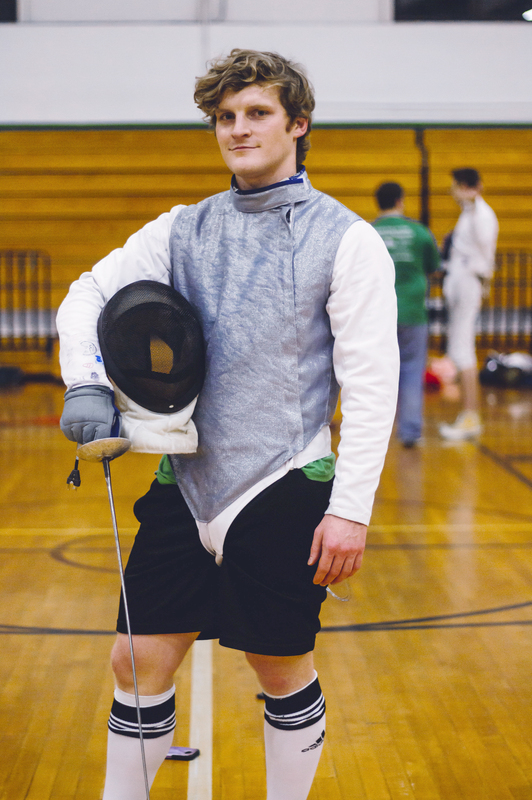 Aside from his officer position, Bolerjack has been an active member in the UNT fencing club, dedicating his free time and cutting out of practice time to work on bettering the function of the club. Kinesiology senior Jack Bolerjack stands at practice in the Ken Bahnsen gym Monday, April 8, 2019. Bolerjack was awarded the ‘Spirit of Fencing’ award, which is presented by USA Fencing. Image by: Jessika Hardy. Bolerjack has many responsibilities as a club officer but never fails to go out of his way regardless of his other duties, according to club president Danielle Quintanilla. In the USA Fencing association, active members are given a grading on a scale from ‘U’ to ‘A’. All fencers start at a ‘U’ for unrated and work their way up to a ‘D’ then through to an ‘A’. 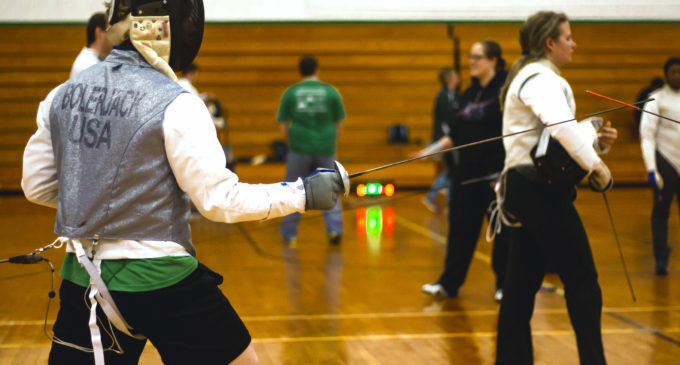 Participation and placing in tournaments allow a fencer to move up in their grade. Grading in fencing requires several actions to be taken in order to move up in the ranks. At their most recent tournament hosted at UNT, Bolerjack was recently given a ‘C’ grade. Quintanilla stresses this is a great thing for Bolerjack due to the time he takes out of his own practice to work for the club. Bolerjack was unaware of his nomination from Miller and did not know about the award until he was announced as the recipient. Bolerjack said he is humbled when it comes to talking about his award and contributions to the club. Bolerjack serves as a synecdoche for the UNT fencing club, according to Miller. His sportsmanship and contributions to the team are reflective of not only the fencing club but of the UNT community in general. Featured Image: Kinesiology senior Jack Bolerjack lunges while competing in a match at practice in the Ken Bahnsen gym on Monday, April 8, 2019. Image by: Jessika Hardy.